On this date in 1897, Edith Claire Posener was born in San Bernadino, California. 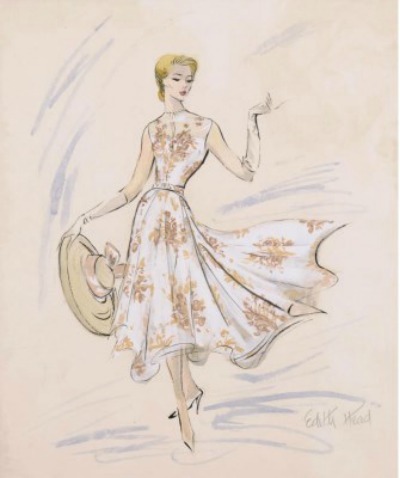 The graduate of Stanford University and Chouinard Art College would become the famed costume designer Edith Head. One of the most prolific of Hollywood costume designers, Edith Head dressed dozens of actresses and received over thirty Academy Award nominations for her costuming. She won an Oscar for Best Costume Design for eight films. Head died on October 24, 1981.